To cite one obvious example: newsweeklies annually marked Christian holidays with a cover story on a religious theme, always respectful and sometimes celebratory in tone. . . . The new Newsweek, by contrast, published holiday issues that any good secular journalist would like to read. One issue near Christmas offered a long and fallacious cover story on “The Religious Case for Gay Marriage.” Easter came and the magazine feted “The End of Christian America.” Pieces like this weren’t so much a challenge to traditionally religious readers as a declaration of war. Why not just put a bullet in the Easter Bunny while you’re at it? 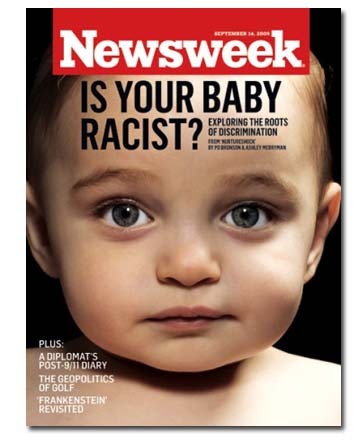 Apparently, readers were somewhat less excited about this “dialogue” and, whatever the value of the Nurture Shock blog to sales of the book, its value to Newsweek seems to have been negligible. This was typical of the self-indulgently unbusinesslike decisions that Meacham made. At a time when Internet competition is teaching news organizations everywhere the virtues of running “lean and mean,” Meacham maintained a full-time staff of more than 350. Never mind the idiocy of this definition of “centrist politics.” What about the absurd notion that Newsweek needs “a stalwart of the Washington establishment” as its publisher? What about the dubious proposition that Meacham’s “serious-minded” approach is worth preserving? Does it never occur to these people that perhaps doing more of what caused the failure might lead to more failure? The DRUDGE REPORT has learned that reporter Michael Isikoff developed the story of his career, only to have it spiked by top NEWSWEEK suits hours before publication. Virginia Right! News Hound for 8/3/2010 | Virginia Right! 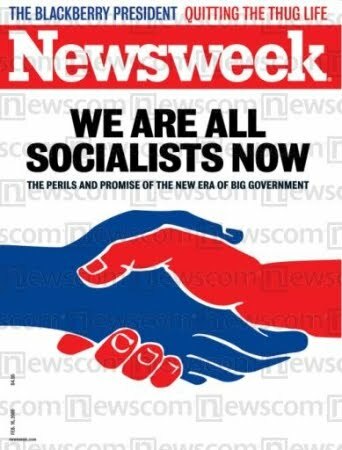 When I read that Newsweek sold for the princely sum of $1 I immediately thought of the penultimate scene from the movie Trading Places…. I smell a stockholders’ lawsuit coming – there were other, better offers on the table, but they either would not guarantee to keep most employees or might have – gasp! – taken the magazine in a “different direction” (than what? straight downhill? ), so the lower Harman offer was chosen. Graham still has a fiduciary responsibility to his stockholders, and they should be fighting mad over this. Also, Mr. Harman may have been taken advantage of here. There is simply no business plan which allows a failing business to continue unchanged without bleeding oceans of cash. Staff cuts and a change in editorial policy, not necessarily to conservative but to somewhere in the general range of “sane” would help, are required immediately. I suspect his leftist wife conned a senile old man into this – the courts should appoint a guardian to keep her from spending all of his money on such frivolities. I suppose I should take heart in that any money spent keeping Newsweak afloat is money which cannot find its way into other, more dangerous leftist coffers. Mr. Harman may have been taken advantage of here. There is simply no business plan which allows a failing business to continue unchanged without bleeding oceans of cash. At least Harman will be spending his own money. Look on the bright side: He could be giving it to the DNC.